Under Construction. Under Construction. Looking for a NEW home, but don't want to wait 12 months to build? This home will be ready in just a few months! Impact windows & doors just installed. Drywall going up soon. Act quickly, and there may still be time to pick colors and options. 3 bedrooms, 2 baths, plus a den, provide room for a family, or just extra space for you and your guests. Volume ceilings, "wood look" ceramic plank tile throughout, 5" baseboards, quartz counters, wood cabinets, & ceiling fans are included in the list price. A GE appliance package of range, refrigerator, dishwasher, and microwave, plus a Whirlpool washer and dryer, are also included. 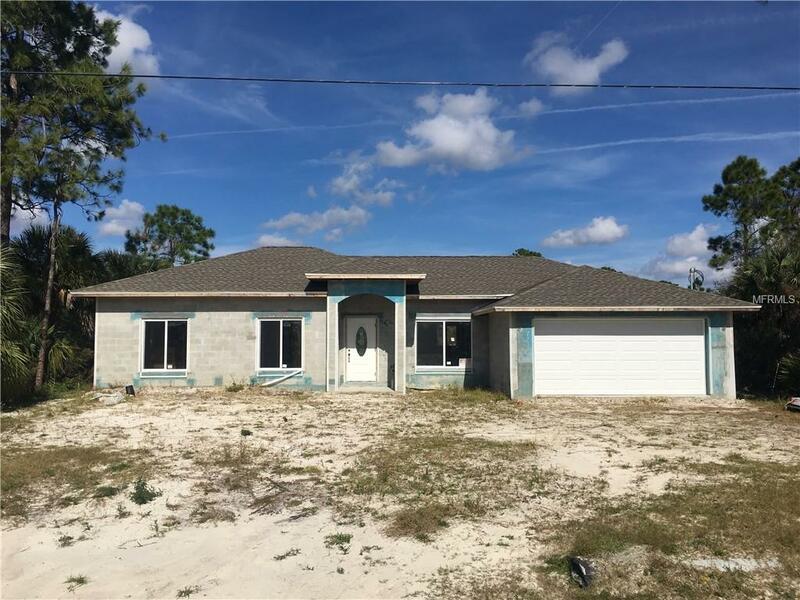 Everything you need to start making this your new Florida home! Block construction, with extra reinforcement, that meets Miami/Dade codes. Roof is architectural dimensional shingles. The oversized lot, located on the Snover Waterway, offers a large back yard where you can fish, paddle your kayak down the canal, or just enjoy the water view from your lanai. Growing area, with easy access to all amenities in both North Port and Port Charlotte, and a short drive to I-75. Schedule a viewing today. This could soon be your own piece of paradise!